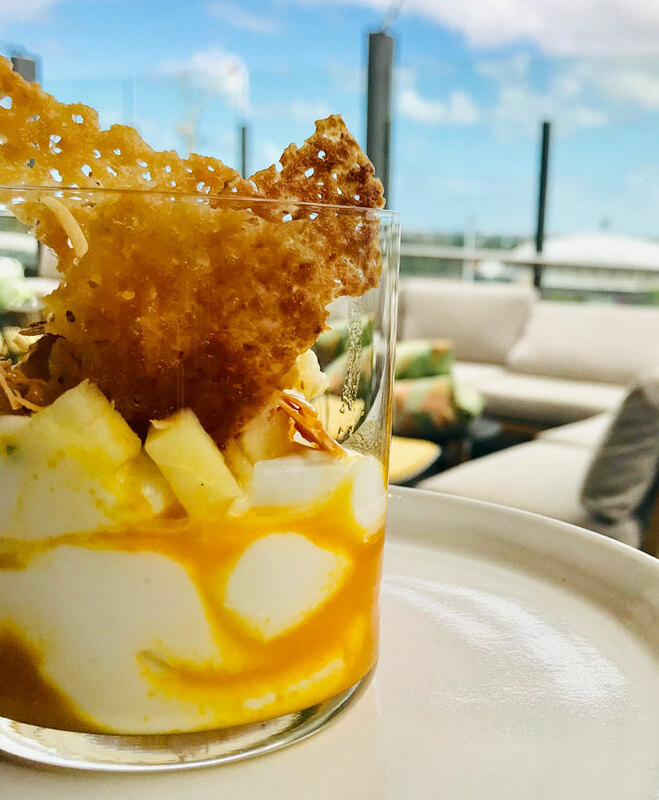 Upcoming food and drink happenings in SA, including a vegan food festival, West Torrens’ Fire & Spice chilli fest, and more Tasting Australia events – from Glasshouse Kitchen dinners to lunch at Pizzateca and brunch at 2KW. Everything But the Pizza (April 12): This $155 five-course lunch at Pizzateca in McLaren Vale will showcase the Abruzzese heritage of winery and restaurant owners the Mitolo family, with the promise of “fresh, delicious food that is hand-made with love … and no pizza in sight”. Cider Fromage Orchard Harvest Rendezvous (April 13): Hosted by LOBO Cider at Stafford Orchards in Lenswood, this community feast will feature a menu by chef Shannon Fleming (of catering company Forgotten Seasons) matched to local ciders and spirits, as well as cider-washed cheeses made in partnership with Section 28. Tickets are $160, or $180 including bus transfer from Victoria Square. East End Cellars Masterclasses (until April 14): A range of wine, beer and spirit masterclasses are being held in the Tasting Australia Town Square, including 1000 Years of Wine (April 13, $125), which will feature 10 wines each made from an SA vineyard that is more than 100 years of age; Teste di Nebbiolo (April 14, $85), a guided tasting through 12 different Nebbiolo wines; Freshest of the Bunch (April 13, $75), a fast-paced tasting with some of the state’s top young winemakers, and Sake Samurai (April 12, $73), with Sydney-based sommelier and sake expert Tim Watkins. Brunch is about to get fancy at 2KW. Let’s Brunch at 2KW (April 14): This $103pp event will see 2KW Bar and Restaurant head chef Trent Lymn and his team create a brunch menu showcasing food and drink from Adelaide Hills producers such as Beerenberg, Woodside Cheese, Lenswood Apples, Harris Smoke House, 78 Degree Gin and The Lane Vineyard. The brunch begins at 10.30am and will include tunes by James Curd. Glasshouse Kitchen dinners (until April 14): Tickets are still available for several of Tasting Australia’s themed dinners with top Australian and international chefs at the pop-up Glasshouse Kitchen in Town Square (Victoria Square). They include the $356 Wild dinner (April 13), a four-course meal by Brazilian chef Alex Atala, Sydney-based O Tama Carey, and South Australians Karena Armstrong (The Salopian Inn) and Oliver Edwards (The Summertown Aristologist), and the $255 Kitchen Roast (April 14) – “the Sunday roast but not as you know it” – with a line-up including Bethany Finn of the Mayfair Hotel and James Brinklow of The Lane in Adelaide Hills. Dinner in the Dark (April 12): Can:Do 4 Kids’ annual Dinner in the Dark at the National Wine Centre is being presented a part of the TA program and will be hosted by Max Mason (Ocular Wines). The four-course menu created by the centre’s executive chef, Steven Clarke, will remain a mystery until the night, but he says the blindfolded guests will enjoy a combination of “exciting textures and flavours to awaken the senses”. The $199 cost includes a $50 donation to Can:Do 4 Kids, Townsend House. 150 Years of the Market: A Time Traveller’s Feast (April 14): This $295pp, four-course long-table lunch will see guests served dishes inspired by different eras across the Adelaide Central Market’s history. The meal will be prepared by chefs Karena Armstrong (Salopian Inn), Lachlan Colwill (Hentley Farm), Tony Hart (Intercontinental), Jordan Theodoros (Peel Street), Matteo Carboni (Casa Carboni), Eddie Ye (Yakitori Takumi) and Brad Sappenberghs (Comida). More information and bookings for these and other Tasting Australia events can be found here. The TA hub is the “Town Square”, located in Victoria Square, where you’ll find five different bars (including a Premium Wine Bar and Bubble Bar) and 14 food stalls selling everything from tacos and charcoal-grilled chicken to gelato. One vegan festival a year simply isn’t enough, so the team behind October’s Vegan Festival Adelaide have created this autumn event to be held at the Main Assembly Building, Tonsley Innovation District. Running from 11am-6pm, Vegan Palooza promises plenty of local vegan food and drinks, with stalls by vendors including Nathan Bakes, Staazi & Co, Metta Sol, Mykless Cheese and Cakeboy Donuts. Vinomofo and six Coonawarra wineries are joining forces to make a Cabernet sauvignon for charity, with volunteers invited to attend a community grape-picking event which will begin at Raidis Estate at 10am, then move onto Hollick Estate before finishing at Patrick of Coonawarra around 1pm. Post-picking, there will be “grub, drinks, crushing, stomping and music”. All proceeds from the sale of the wine will go to help people experiencing homelessness on the Limestone Coast. Register your interest here. Things are about to get hot and spicy with this celebration of the chilli pepper at West Torrens Memorial Gardens. 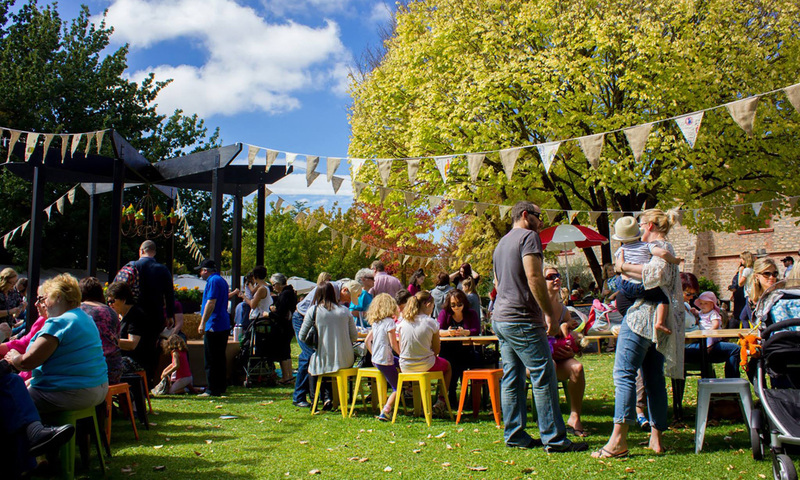 Along with food stalls by the likes of Chile Mojo, Spice Girlz Gourmet, El Diablo Wood Fired Pizzas and Tacocat (see the full list here), there will also be workshops, cooking demonstrations, live entertainment and kids’ activities. It’s on from 11am-4pm. 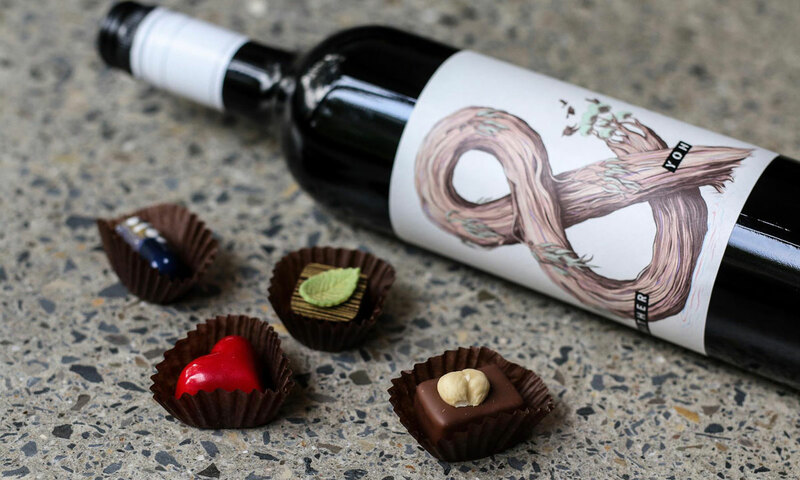 Fleurieu Peninsula producers Hither & Yon Wines and Four Winds Chocolate are pairing up to present a pre-Easter treat at the winery’s cellar door at 17 High Street in Willunga. Those attending the $15 event will be guided through a tasting of six Hither & Yon wines paired with six artisan chocolates from Four Winds. It’s on from 2pm-4.30pm on Sunday; tickets here. More than 50 food trucks and vendors will be serving up hundreds of Nutella-themed treats at this chocolate-fuelled Easter Saturday gathering at Morphettville Racecourse, with menus including cocktails, waffles, pizza, milkshakes and even beer (yes, Nutella beer, being brewed especially for the event). Nutella Palooza will also include an Easter egg hunt, cooking demonstrations and a 50SIXONE pop-up restaurant. Entry tickets are $10, and it’s on from midday until 7pm. Yalumba Vintage Picnic at the Barossa Vintage Festival. This year’s Barossa Vintage Festival will feature around 50 food and drink experiences, including masterclasses, long lunches, picnics, vertical tastings and a wine auction. A few highlights include a Barrel Tasting Experience at Chateau Tanunda – a “sensory adventure” in the cellars where participants will taste wines straight from the barrel; a four-course Laneway Brunch including Rasa Wines at Fleur Social in Nuriootpa; a 20km Barista, Brewer, Wine Cycle Tour hosted by Barossa Bike Hire; a Sunset Dinner at Bethany Wines (Tanunda) featuring six courses matched to wines from its Blue Quarry range, and Say Cheers with Cheese and Chocolate sessions at Grant Burge Wines. See the full program here. The Stamford Grand Adelaide in Glenelg has teamed up with Kangaroo Island Spirits to hold a series of special events, next of which is a $126 gin-blending masterclass from 7-9pm on April 27. It will be followed by a $73 tasting event in the hotel’s Horizons Cocktail Lounge on June 9 where participants will try different KI gins and explore combinations of tonics and garnishes, as well as enjoying canapes created by Stamford Grand Adelaide’s executive chef. Details of both events can be found here. Following on from it recent Magnum Champagne Dinner, Sprout Cooking School is now planning its next special event – a “seasonal dinner” featuring five dishes it says will showcase the best of SA’s fresh, season produce paired with local wines. Tickets are $100pp; details here. Pikes Wines will host a five-course degustation dinner in its SLATE restaurant overlooking the vineyard. 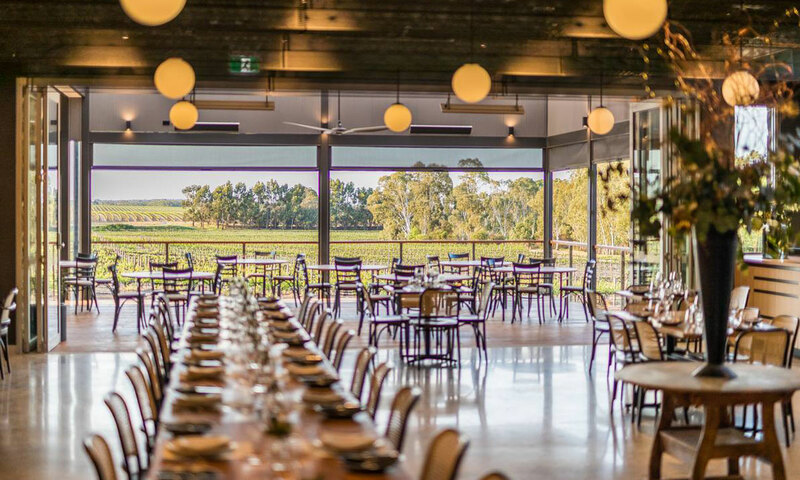 More than 25 Clare Valley wineries will take part in this year’s Gourmet Weekend, with events including blending sessions and masterclasses, cellar door picnics and live music sessions, plus long lunches and degustation dinners. Ticketed highlights include a 50th Celebration Dinner at Taylor’s Wines ($165), including four courses matched to its St Andrew’s Wines, and long-table dinners at Skillogalee Wines ($155), Pikes’ Wines’ SLATE restaurant ($165) and Reillys Wines and Restaurant ($130). Six wineries are also teaming up with chef Stuart Oldfield and his team from Hand Made Catering to present The Gourmet Hub in the Clare Valley Showgrounds on the Saturday and Sunday. See the full program here. This self-guided cellar-door experience in the West End sees local bars and restaurants team up with winemakers, with pairings announced so far including Prohibition Liquor Co with Hither & Yon, Udaberri with Coulter Wines, Hains & Co with Bondar Wines, Electra House Hotel with Eight at the Gate, and La Buvette with Camwell Wines (see the full list here). Tickets for the 12-4.30pm Urban Wine Walk are $65 plus booking fee, and include entry to participating venues (subject to capacity) plus 35+ tastings. Please send details of any upcoming food and/or drink events to: editorial@solsticemedia.com.au.